Initially called FINCO leisure and later Uga Resorts, Uga Escapes comprises Ulagalla in Anuradhapura, Jungle Beach in Trincomalee, Uga Bay in Passikudah, Chena Huts in Yala and Uga Residence in Colombo. The story of Uga Escapes begins with its flagship property Ulagalla where the word Uga has its roots from. Ulagalla Walawwa as it was known in its heyday was a chieftans home deep in the cultural triangle of Sri Lanka. This property was then painstakingly restored with special attention given to preserving its heritage while also ensuring that the environment it existed was intact. Ulagalla thus became a pioneering effort in environmentally responsible and sustainable construction in Sri Lanka’s tourism and leisure industry. 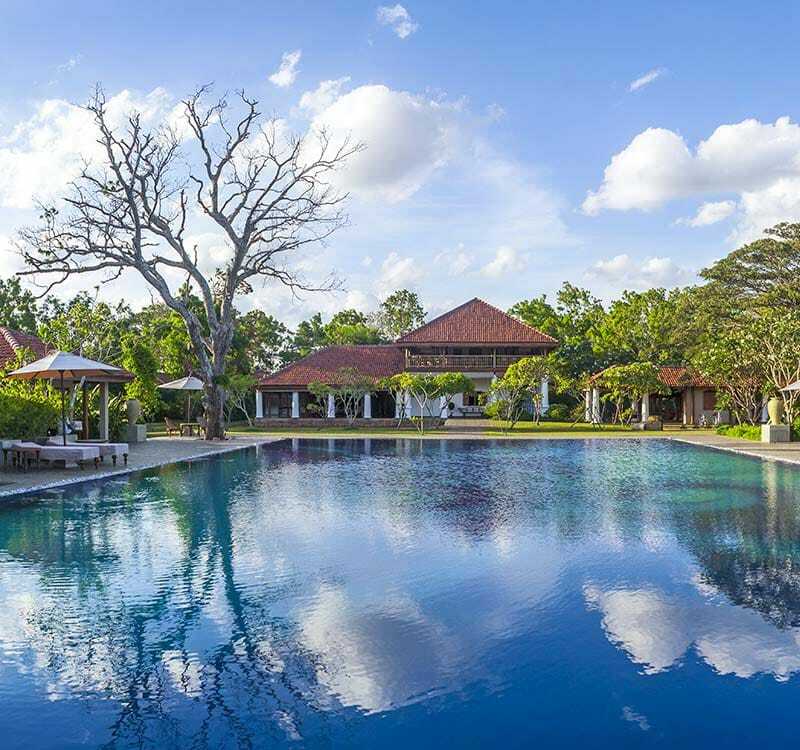 This vision formed the basis for a successful collection of “back to nature” Sri Lanka boutique hotels in remote but accessible and stunningly beautiful locations. We, also draw inspiration from one of Sri Lanka’s most sacred flowers the Lotus, We’ve not only embodied it to our logo we’ve also inculcated its essence to our culture. To us the Lotus represents purity and the cycles of life. It rises from the muddy earth, through water, light and air, through all the elements of the cosmos, until it blooms and starts its cycle once again. At Uga Escapes, the Lotus functions symbolically as an eloquent metaphor for the regeneration of the soul. Our values therefore are shaped to strive for ecological sustainability, preserve natural splendour and complete rejuvenation. Our philosophy is all about creating experiences to better understand indigenous culture, history and the local community, to appreciate the splendour of a magical wild life spectacle, experience and taste a range of dining styles, using the freshest ingredients, invoking a sense of adventure whilst sampling authentic Sri Lankan flavours and perfectly tailored one—of—a—kind excursions and activities. This is the Uga Experience.